Baba Ganoush really is the food of love. A duo of culinary talent, our founders Matthew and Ashley Hyde met while working in the food hospitality business. Both fiercely passionate about good food and each other, they set out on a mission to build a catering company that brings people together over food. 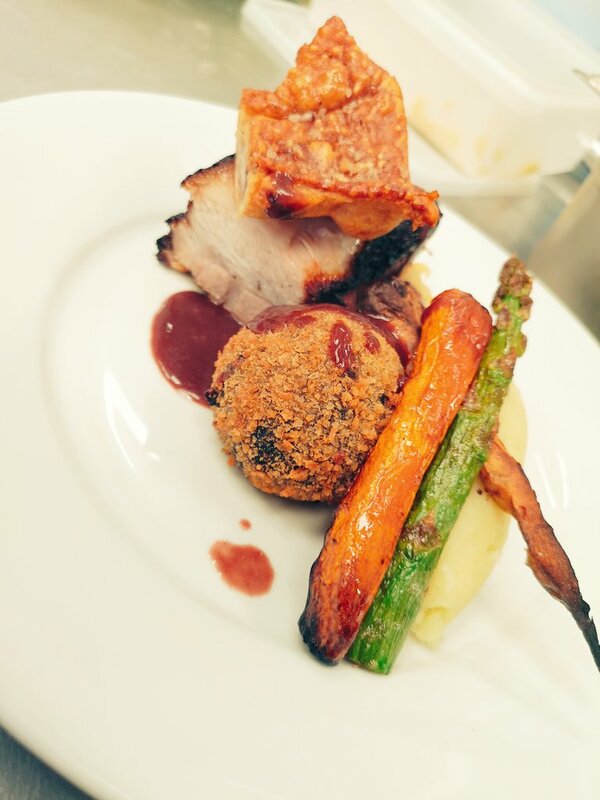 Driven by what people really wanted, rather than the typical three course menu of soup, chicken and lemon tart, they also wanted to excite people with new ways of delivering food to the table, making each event more of a theatrical feast experience, delighting guests from start to finish. And so, in 2013, Baba Ganoush was born at the heart of the kitchen - the kitchen table. "Ashley, Matthew and the Baba Ganoush Catering team were all superb & nothing has been too much trouble - they've gone out of their way to help and way beyond any expectations we had for a wedding caterer." It all started with Baba Ganoush. So, where did the name come from you ask? Baba Ganoush is a Levantine dish made from the inside of aubergines mixed with tahini, olive oil and various seasonings. It can also be described as a poor man’s caviar, which is one of the reasons why we love the name so much - it completely fits in with our ethos of taking simple fresh ingredients and turning them into something spectacular. Baba also means ‘father’ in Arabic. When Matthew was a boy he was not particularly fond of school and in an attempt to help him with his studies, Matthew’s grandad, Cliff, gave him a variety of words to memorise to build his confidence with spelling. Baba Ganoush is the one that stuck and is a heartfelt nod to Baba Cliff.